Steve Ireland grew up in Madison, Maine and moved to Norridgewock after graduating from High School. Shortly after graduation, he joined the Navy and was stationed onboard Naval Air Station Oceans, VA for his first tour with VF-143 / USS Eisenhower. 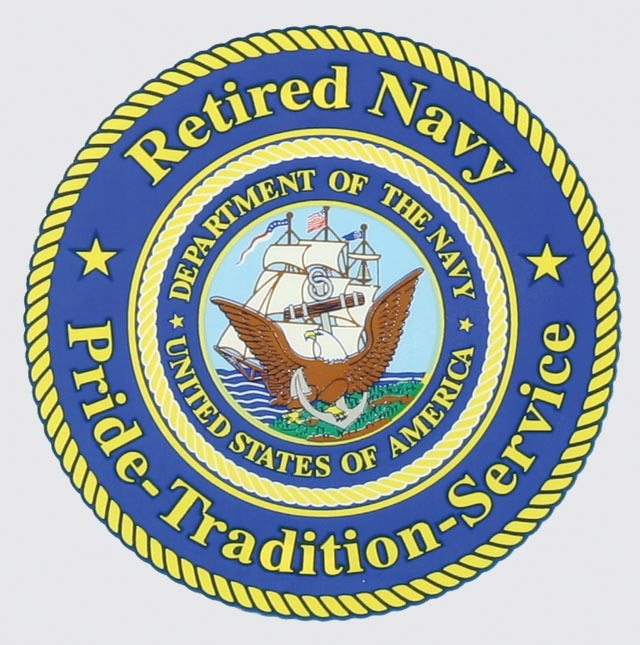 After a short absence from the Navy, he re-entered the Navy and was stationed at Naval Air Station Brunswick, Maine for his remaining 20+ year career. To keep NASB alive, there is now the “Brunswick Naval Museum and Memorial Gardens” located at the former Chapel on base. Upon retirement from the Navy, Steve joined the ranks of Government service where he worked at NASB’s Fire Station as a Fire Protection Inspector for 4 years and then at Cutler Navy Communications Station for 2 years as their Safety Manager. A former employee for various Navy Traffic Safety contracts from 2005 to 2017, instructing the Motorcycle & AAA-Driver Improvement Program throughout the Northeast. To the Marine Corps side, instructed the Emergency Vehicle Operator’s Courses throughout the eastern shores of the US. As well as a short 2 year hitch working for the VA at Togus in the Emergency Management field. Currently working again for the US Navy civil service as a Safety Specialist for the Northeast Region. Other interest is that Steve is a 30 year veteran on the Norridgewock Fire Department, still serving as the Safety / Training Captain. He also assisted in instructing Hunter Safety courses throughout Somerset County for 28 years which he retired in 2016 after teaching thousands upon thousands of students how to survive in the Maine woods where he learned those traits as a Navy S.E.R.E. Instructor located in Rangeley. Steve started teaching Drivers Education at the Skowhegan Driving School in 1989 along with instructing MMSEC at the Skowhegan Driving School from 1991 to 1999, with the late Frank Withee (Sergeant, US Army Retired). In 1991, Central Maine Motorcycle School was organized. During this initial time, Steve had the privilege of teaching in Auburn, Augusta, Belfast, Brunswick, Dover-Foxcroft, East Machias, Ellsworth, Fairfield, Farmington, Lewiston, Machias, Milo, Norridgewock, Norway, Waterville, and West Bath, to name a few. He is the co-owner of Central Maine Motorcycle School with his wife, Evelyn. He’s been certified as a Maine Motorcycle Safety Education Course (MMSEC) Instructor since 1991 and was a Senior MMSEC Instructor since 1999. Steve is also nationally certified as a Motorcycle Safety Foundation RiderCoach℠ . In 1995, Steve attended the MSF Instructor Course at NASB along with completing the newly formed RiderCoach℠ curricula update in 2004. In 2007 CMMS opened up their first range in Skowhegan. Then in 2010, they expanded to Wilton and Jonesboro and closing the Skowhegan range down, concentrating on their Wilton site. Since opening their Jonesboro site, the one and only certified motorcycle range closest to the European continent in the US. In 2009, he became certified to instruct the Military Sportbike RiderCourse ℠ along with the Advanced RiderCourse – ARC ℠ . Then in August of 2017, was updated / certified to instruct the new BRC updated curriculum. A very special “Thank You” to our former RiderCoaches, Instructors, and Range Aids who have contributed so much in the safety of motorcycle education. We would also like to recognize Dave Anderson of Topsham for his expertise in assisting in outfitting / specializing our equipment haulers. And to John Kohler from Maine Bureau of Motor Vehicles on assisting us with his expertise on painting and re-painting our most recent motorcycle ranges to the current standards. Could not have done it with out ya! Thanks Guys! CMMS proudly salutes the men and women now serving in our Armed Forces all over the world. We would like to thank all the Veterans who have served previously in the past wars, conflicts, and in peacetime. We live free in America because of the sacrifices of all our Veterans, especially those who made the ultimate sacrifice for our great nation. and register for a free class anywhere in the United States. Space is limited! We may be able to answer some questions for you military personnel. If unable to get into a military sponsored class, CMMS does offer a 10% discount (throughout the riding season) for any active duty / active reservists / retired with a valid military ID card at both of our locations. Our lifelong Mission is to teach safe motorcycling to all (16 and up) ages, who want to learn and those who have learned from all walks of life. We always pride ourselves on having top notch professional MSF RiderCoaches instructing such courses. Our student’s safety is paramount!! Our Vision is to provide quality instruction in both the classroom and on the motorcycle range through continuing education and updates to keep proficient at what we do best.